The Class of 1951 Observatory houses two large reflecting telescopes in separate domes: a 20-inch, and a 32-inch (one of the two largest research telescopes in New York State). Smaller telescopes include a Coronado solar telescope and an historic 8-inch refractor. Both large telescopes are equipped with research-grade electronic cameras, and three spectrographs are also available. All data acquisition and telescope control is performed from a large warm room. 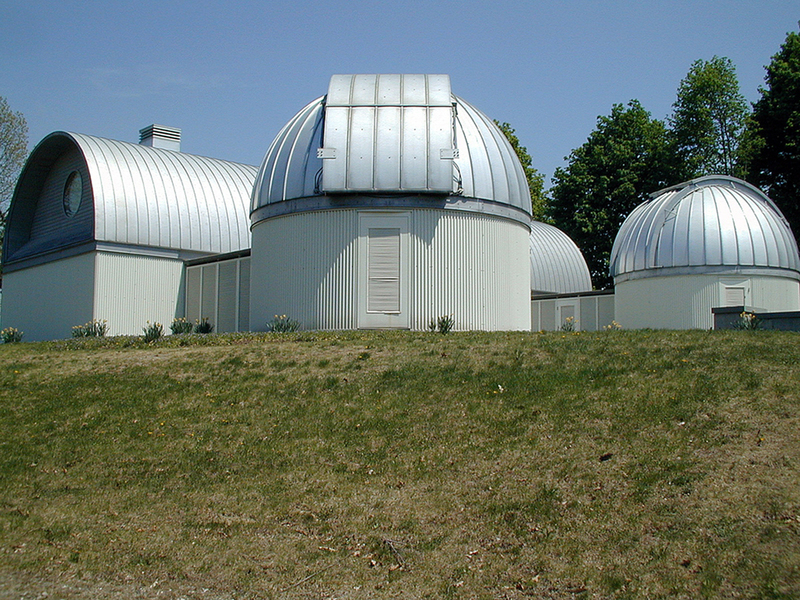 The observatory supports Vassar coursework, public education, and professional research in astronomy. Ongoing research programs monitor the brightness and colors of active galactic nuclei, and measure the chemical abundances of unusual stars in the Milky Way. On Wednesday nights from 9:00-11:00 pm during the school year, visitors from the community are welcome at the observatory for open nights, weather permitting. To get the latest information about the Observatory schedule and weather related closings, please check out our Facebook page, follow us on Twitter, or call the observatory at (845) 437-7679 after 8:45 PM. The observatory also hosts special events (class visits, alumnae/i tours, etc.) by appointment. Please contact the Department of Physics and Astronomy for details at (845) 437-7340.